The definitive edition of a lesser-known SNES classic will finally see the light of day. 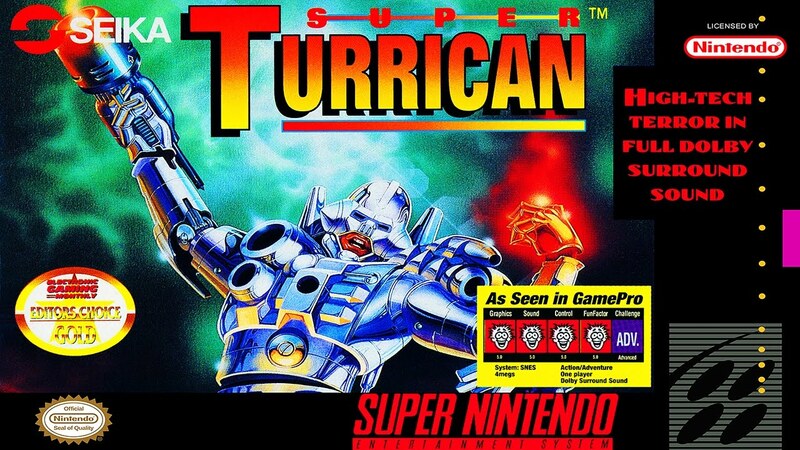 Unless you were a die-hard Super Nintendo fan way back in the original console’s heyday, the name "Super Turrican" probably doesn’t mean much to you. But if you do remember playing now defunct developer Factor 5’s cult classic back when it originally launched for the SNES in 1993, you’ll be happy to hear that the upcoming Super NT retro console from Analogue will come with a specially remastered version of the game called Super Turrican: Director’s Cut. The Nintendo Life writeup also reveals that Factor 5 had planned to release the uncut version of Super Turrican for the Wii’s Virtual Console back in 2008 as a special bonus for those who purchased both the Virtual Console versions of Super Turrican and its sequel Mega Turrican, but sadly that plan had to be cancelled due to Nintendo’s policy at the time of not publishing any game that wasn’t commercially available previously. Fortunately, the tale of the definitive Super Turrican experience has a happy ending. Even though Factor 5 is no longer around, console developer Analogue has announced that its recently unveiled Super NT, a competitively priced SNES micro console which is due to arrive in February of 2018, will include a specially restored version of Super Turrican called Super Turrican: Director’s Cut. In addition to the previously cut content, Super Turrican: Director’s Cut will also come with an SNES-style cartridge box to really hit buyers in the nostalgia feels. The Super NT can be pre-ordered now at a $189.99 price point.